The HAM-LET Hoses are top quality factory assemblies that are manufactured and tested to meet industry demands and regulation for chemical, process, Oil & Gas, Power generation, Pumps & Vacuum, instrumentation, gases and semiconductors manufacturing and machinery. The HAM-LET Hose assemblies are constructed from only best materials and components and by the most advanced technologies for leak free durable performances. 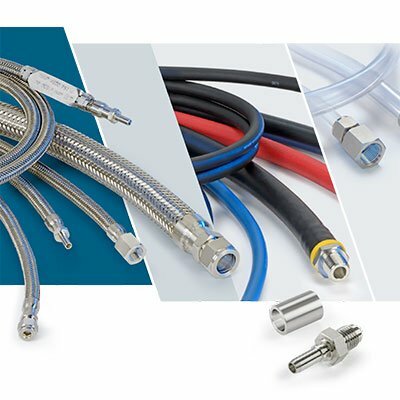 HAM-LET Hoses are the best solution for flexible connection of Gas & Liquid lines where vibrating, moving parts and installations involve high temperatures, chemicals and aggressive media, high pressures and full vacuum.